Standart autoclave, it can be used for clarification of raw material. 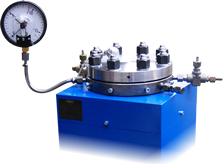 Large autoclave designed to clarify a large amount of amber. For 20 years, we producing best in the world autoclaves and press machines for amber.